DePaula Chevrolet offers the largest inventory of quality pre-owned vehicles in the state of New York. As one of the used car dealers in Albany, NY – DePaula Chevrolet is dedicated to providing area residents with an incredible used car buying experience that will be as memorable as it is affordable. Since the very first day we opened our doors, DePaula Used has been setting a new standard for how the used car industry operates. While we may not be able to change the pre-owned car marketplace overnight, we are committed to doing what is necessary so that our dealership is able to provide the community of Albany with unparalleled service that is held to the highest standards. When you make the decision to purchase a new-to-you car, truck, or SUV, we invite you to come and explore our vast inventory of quality pre-owned vehicles. From certified pre-owned Chevrolet models, to quality used vehicles from other major automotive manufacturers, DePaula Used has what you are looking for. Pulling onto our lot here in Albany may seem similar to other dealerships you have visited in the past. While it might be tempting to file us away in a category that other area dealers have been placed, we ask that you give us a chance by coming into our showroom and speaking with our friendly and knowledgeable sales team. At DePaula Used, we personally select every individual on our team based on their professionalism, friendliness, and a genuine desire to provide car buyers with exceptional customer service. Without our strong team of individuals, DePaula Used would not be the dealership we are today with the outstanding reputation we have earned here in Albany, NY. The same people who we chose for their ability to best help you find your next new-to-you vehicle, are the individuals who will greet you when you visit DePaula Used. Unlike other area dealerships, our employees will greet you with a warm smile, and invite you to explore our inventory of quality pre-owned cars. They will make themselves available to help you when you need it and will allow you to peruse our massive selection of used vehicles when you don’t. No one wants a guy with dollar signs in his eyes breathing down their neck as they search for their dream car, which is why at DePaula Used, you won’t experience this unsavory practice. Our low-key approach to sales is one of the reasons our previous customers keep coming back for their future automotive needs. At DePaula Used, we won’t play games and we aren’t interested in tricks or other gimmicky sales techniques that other car lots resort to on a daily basis. Our friendly team, high-quality pre-owned inventory, and our state of the art facility speak for itself. If you want an honest, straight-forward car buying experience that will leave you feeling confident and happy, then come down and see us at DePaula Used here in Albany. Any dealer can claim to have a large selection of quality used cars, but at DePaula, we back up our claim with a truly extensive pre-owned inventory. As a Chevrolet dealership, our main focus and largest selection of pre-owned vehicles will always be from the bowtie brand, but that doesn’t mean we don’t offer incredible deals on other automotive brands. Whether you are looking for a great used Ford Focus, a ruggedly capable Jeep Wrangler, or a luxuriously appointed Mercedes-Benz Cabriolet – DePaula Used has you covered. Our inventory of used vehicles is constantly changing, which means that we are always making room for new pre-owned offerings that will satisfy your thirst for variety. If you come into DePaula Used and don’t see the vehicle you were hoping to find, simply speak with a member of our sales team. We will help find the exact used make and model you have your heart set on, and bring it to our dealership for you to purchase. Our ultimate goal is to provide our customers with exceptional service, and finding you the perfect pre-owned vehicle is one of the many ways in which we are able to fulfill that promise. The vast selection of pre-owned vehicles here at DePaula is made possible by our unique approach to acquiring the vehicles that we sell. 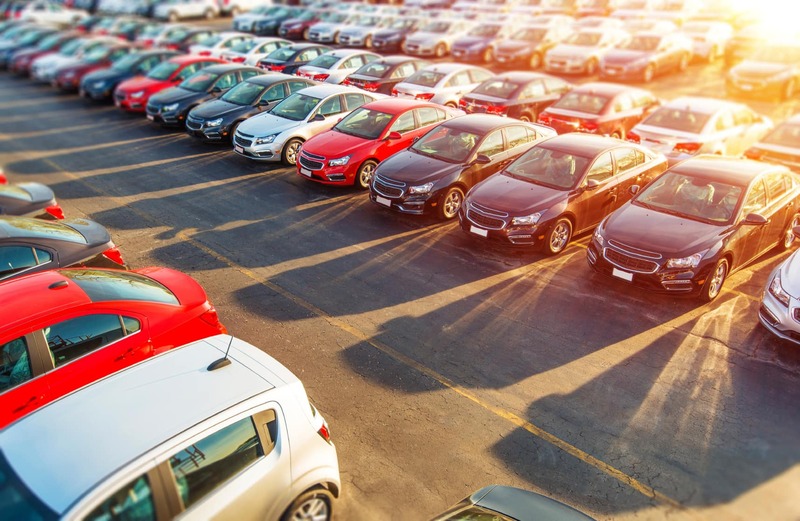 While most dealerships flock to area auctions to buy the same make and model in bulk, here at DePaula Used, we hand select every vehicle we put on our lot. We will even purchase your current vehicle for cash on the spot, giving us, even more, opportunity to acquire a variety of pre-owned models for every person who walks through our doors. Our unique approach not only ensures that our customers are provided with a truly diverse inventory of used vehicles, but it also gives us the opportunity to selectively choose cars, trucks, and SUVs that meet our high standards for quality and reliability. You aren’t ever going to find a car at DePaula Used that has a questionable past or a laundry list of required repairs. Rather, each vehicle on our lot is inspected by our professionally certified technicians who are as just as dedicated as we are to providing customers with high-quality pre-owned cars. Purchasing a used vehicle from a reputable used car dealership such as DePaula, allows you to get a lot more vehicle, for a lot less. In-vehicle technology is the new standard for automotive luxury, and drivers who are in the market for pre-owned cars are able to purchase a fully-loaded vehicle for a fraction of what a new model would cost. If you have dreamed of driving a car with a high trim level designation loaded with the newest and greatest in-vehicle amenities, but were restricted by your budget, DePaula Used can help. Our inventory offers plenty of upgraded models with large touchscreen displays, in-vehicle Wi-Fi connectivity, leather upholstery, Bluetooth hands-free smartphone integration, and so much more. These same vehicles that you may not be able to purchase new, are well within reach here at DePaula Used. We offer great deals on these well-equipped vehicles, allowing drivers who would not otherwise be able to afford them, the opportunity to drive home in one today. If you have resigned your hope of ever driving a fully-loaded Chevrolet, we invite you to come down to DePaula Used and see how our dealership can turn your resignation back into hope. Here at DePaula Used, two of our favorite things to do is meeting new members of our community and talking about cars. If you are interested in just stopping by to check us out, or are wanting to begin your pre-owned car buying journey, we hope that you come down to DePaula Used and introduce yourself to our friendly team. We would love to show you around, and explain how our approach to pre-owned vehicle sales differs from other area dealerships. Grab a cup of hot coffee, take advantage of our complimentary Wi-Fi, and give us the chance to prove to you that used car dealers can be just as reputable as our new dealership counterparts. We hope to see you soon.